Looking for an upscale community close to everything you deem important in Lafayette, IN - you have stumbled upon River Walk Apartments. Located just minutes from Purdue University, career opportunities, recreation and shopping, our community indulges your longings for all the conveniences of contemporary living in a great location. At River Walk Apartments we pride ourselves in offering residents an upscale living experience in every apartment. Our one, two and three bedroom floor plans feature all electric kitchens, vaulted ceilings, spacious walk-in closets and so much more! All of our apartment homes offer luxuries that are beyond compare and our community amenities are just as impressive. Enjoy a work-out in our fitness center or entertain friends and family at our clubhouse. We know you will enjoy having the best in everything when it comes to your home - River Walk Apartments awaits! Contact us today to learn more about our competitively priced apartments. 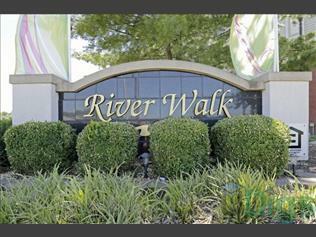 This page contains information about River Walk Apartments and it's rental listings. All details have been provided by River Walk Apartments.